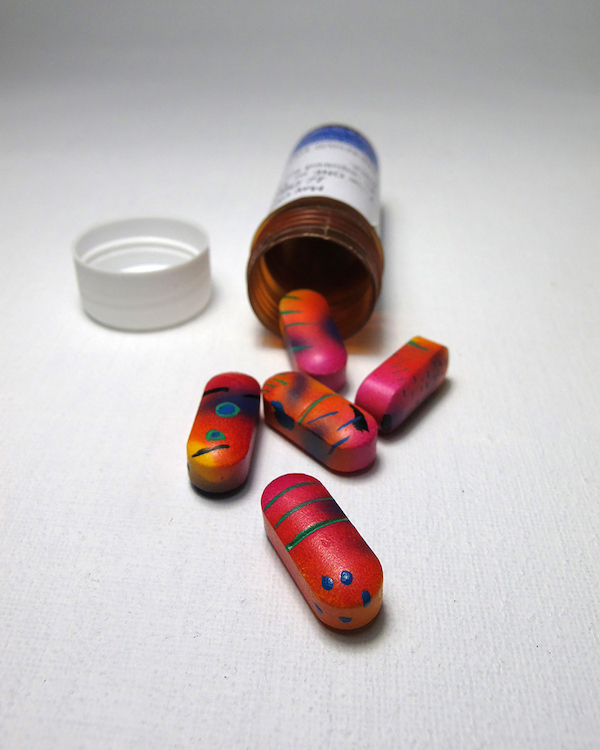 Evan Woodruffe, Remain Medicated (pills), 2019. Acrylic and varnish on mineral supplement, 2 x 0.7 x 0.7cm each. Courtesy: the artist and Paulnache, Gisborne. Our condition is complex; we negotiate a civilisation that brings unparalleled learning and comforts that also suffers from the costs of these achievements. We exist offline and online almost simultaneously, a fluid reality that shifts our horizons both further away and closer to us.